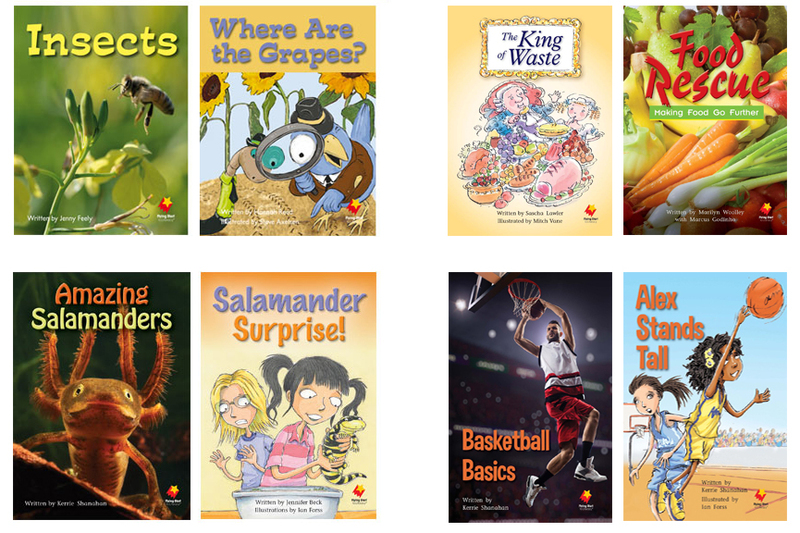 After the Shared Reading stage (16 Big Books), there are 9 developmental reading stages (304 titles) comprising connected pairs of books written with a different text type. Paired books address the same concepts, vocabulary and high-frequency words in different text types and sentence structures. High-frequency words are gradually and systematically introduced and reused. There is a high rate of repetition of high-frequency words and a low ratio of unfamiliar words. There is a balance of illustrated narrative and photographic informative books.